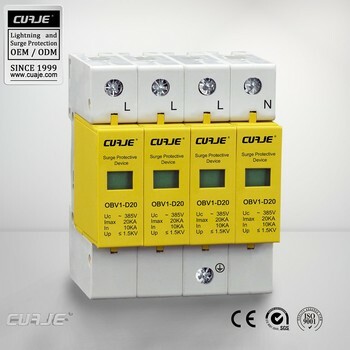 OBV1-D20 series Surge Protective Device is suitable for TN-S, TN-C-S, TT, IT etc. 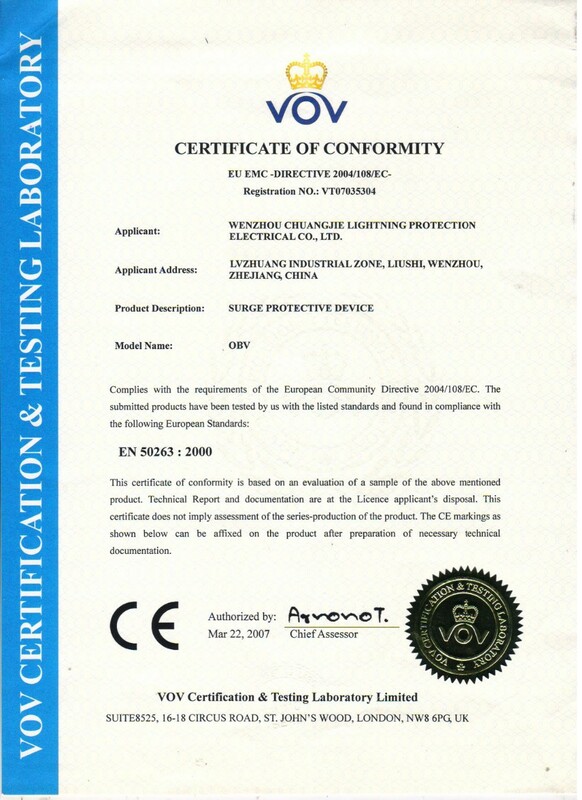 power supply system of AC 50/60Hz, <3800V, installed on the joint of LPZ1 or LPZ2 and LPZ3, it's designed according to IEC61643-1, GB18802.1, it adopts 35mm standard rail, there is a failure release mounted on the module of surge protection device. 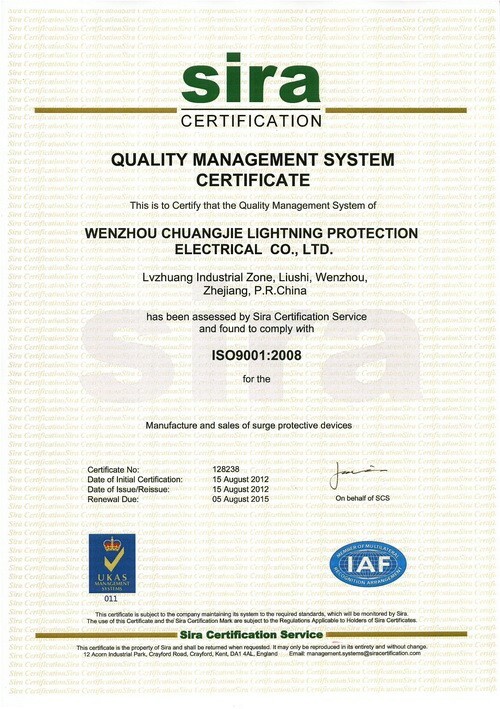 When the SPD fails in breakdown for over-heat and over-current, the failure release will help electric equipments separate from the power supply system and give the indication signal, green means normal, red means abnormal, it's also could be replaced for the module when has operating voltage. 1.Could be replaced for the module not need power off. 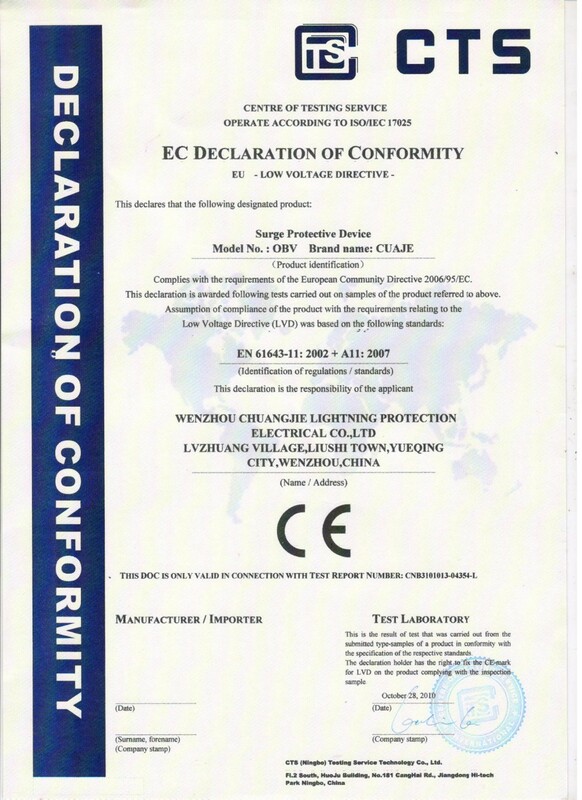 2.Maximum current of endure the lightning stroke 20kA (8/20μs). 4.The colour of visible window shows operating status, green means normal, red means abnormal. Notice: When you order our goods, please write the model and quantity carefully. For example: OBV1-D20/2P-385, 8 pieces.